Listen to these upbeat and strategic power affirmations while you are walking, jogging, working out, or just to jump start your day. 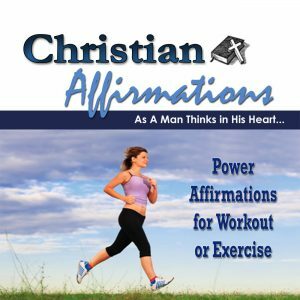 This CD contains over 60 Biblical-based affirmations to enhance your work, self-esteem, health, and mind. Affirmations are fast-paced and set to variety of fun and bouncy tunes from African drums to Latin rhythms. These affirmations actually make you want to work out. Not only will you give your body a great workout, your mind will be renewed as well. Do you teach an exercise class or looking for exercise music from a Christian perspective? Use these power affirmations as a part of an effective mind, body, and spirit-filled exercise program. Mp3 Download is 22 minutes. CD contains 3 tracks of affirmations.